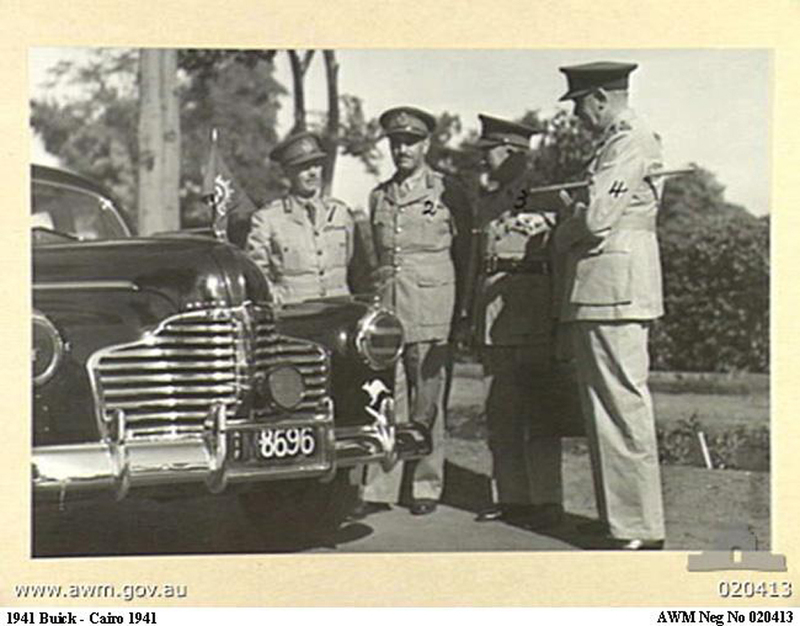 Pictured right, Prime Minister Curtin [1939 series 90] meets General Macarthur [1942 series 90] at Mascot Airport, Sydney 1943. 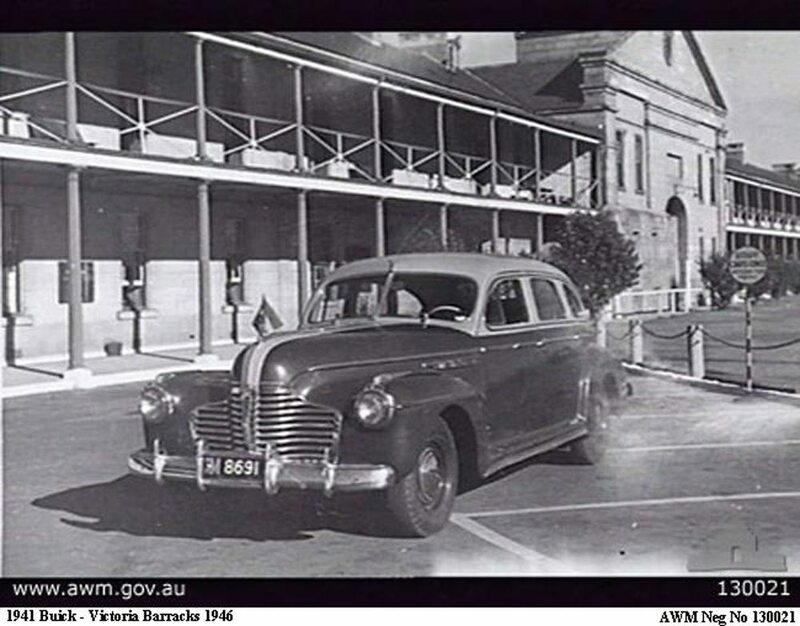 After War was declared in September 1939, changes were slow to occur, the Government did not mobilise industry until half-way through 1940 so production of passenger cars went ahead as in peacetime and sales to the general public were normal, numbers delivered from Woodville for 1940 sedans were 8/40 475 & 8/60 68. 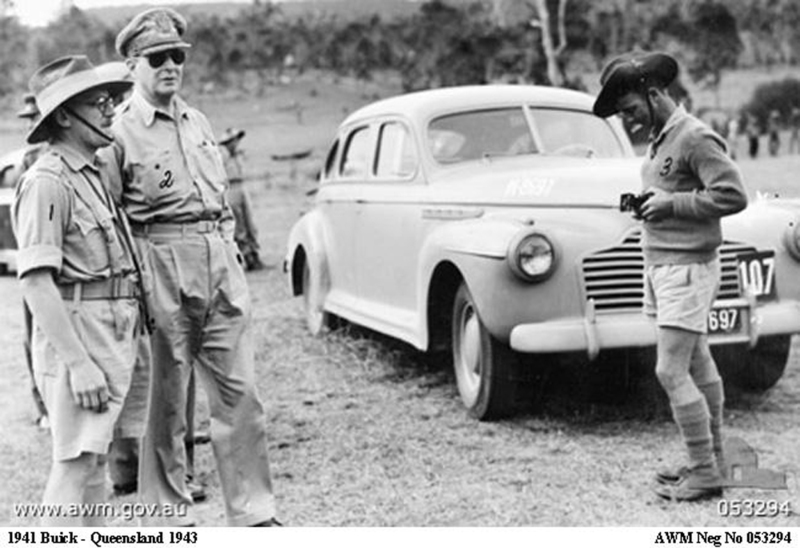 When 1941 came around the war effort in Australia was in full swing and virtually all automobile production was for defense purposes. 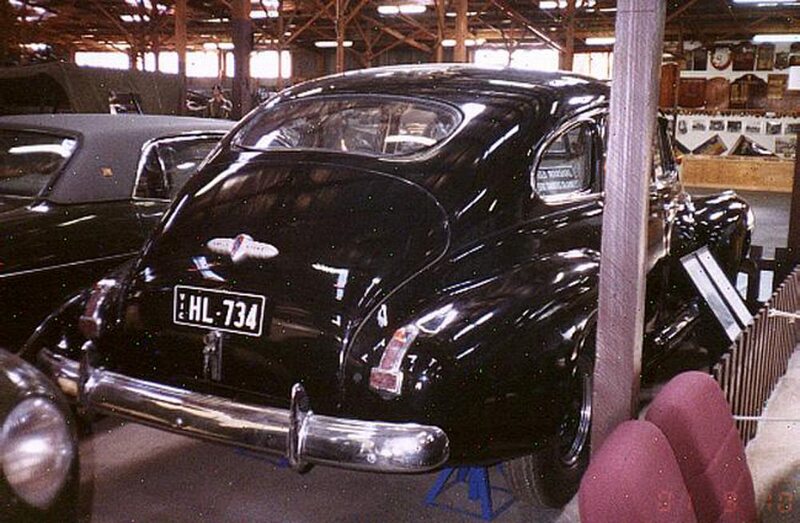 GM-H had made a decision, that after 1940 Buick would no longer use the Holden body previously shared with Chevrolet, Pontiac and Oldsmobile, so the delivering of these model 41 sedans was, we assume part of the plan to import, fully or CKD model 41’s, which continued after the War [ckd]. Some confusion was caused as GM-H placed the Lion emblem on the LH front door and welded up the holes on the RH scuttle intended for the brass rivets for the Buick Motor Division information plate this is quite obvious upon examination. These 1941 sedans were not the “Refugee” bodies which appear on the GM-H Summary for 1942 and are listed as, Buick 24, Oldsmobile 12, Pontiac 12, Chevrolet 42 [including 18 convertibles] . “Refugee” bodies were vehicles destined for another location but diverted to Australia due to hostilities. 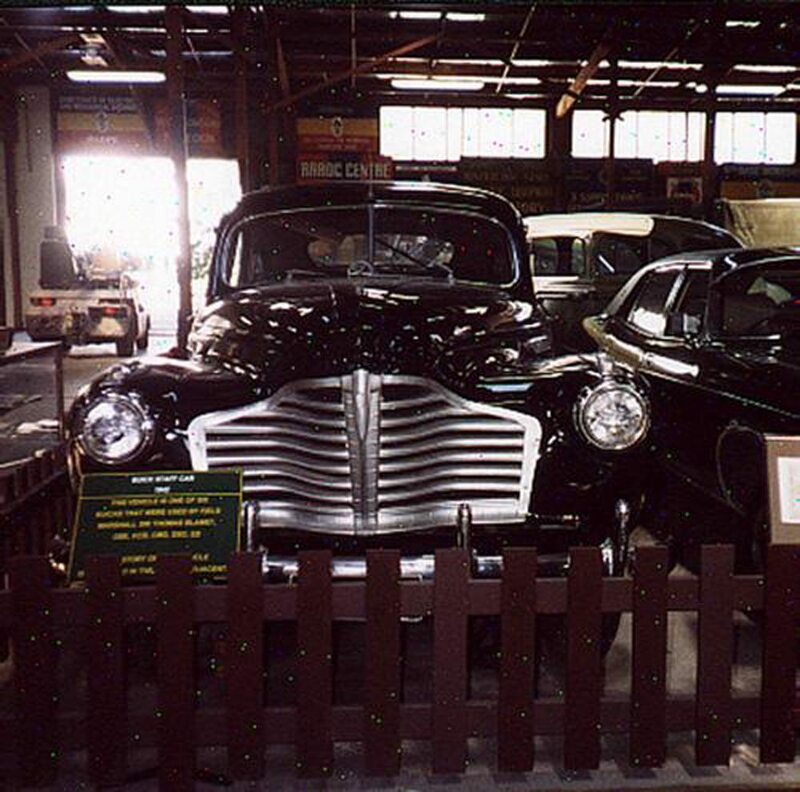 The Policy to use Buicks as General Officer’s Staff cars continued and Field Marshall Blamey’s 1941 sedan can be seen in the extensive Army Transport Museum at Bandiana, Victoria. The Museum believes that Blamey had 6 Buicks at his disposal, apparently one in each State, this could have been policy for all Generals. 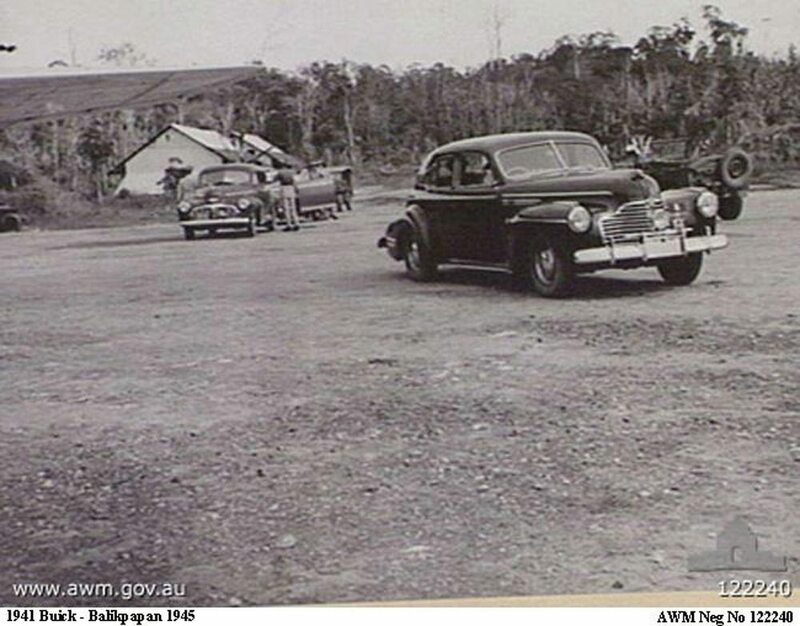 Large numbers of 1941 model 41 sedans can be found in Australian Military service [Neg Nos. 020413, 122240, 130021, 065749,125772,053294, 051524] here as well as Cairo, the Pacific Islands and Timor, go to AWM webpage then type Neg. No. 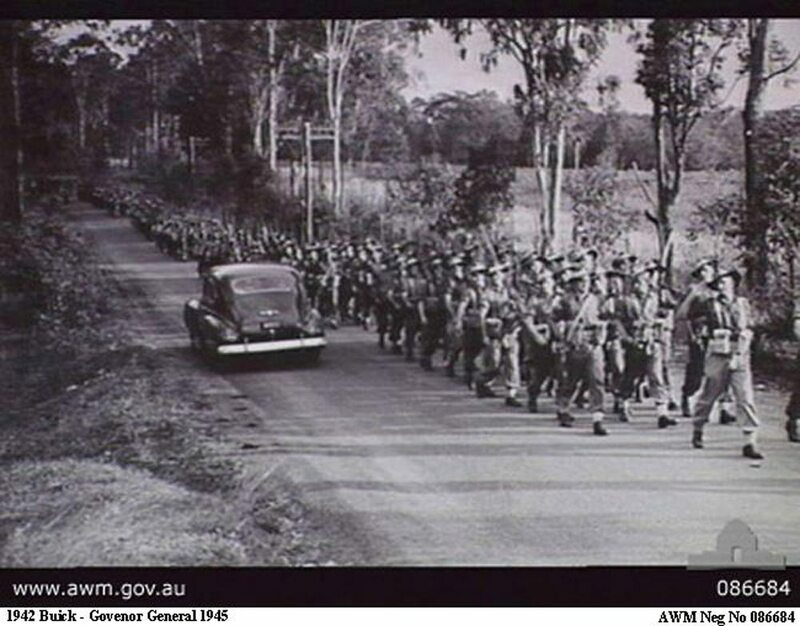 [www.awm.gov.au/database/photo.asp]. 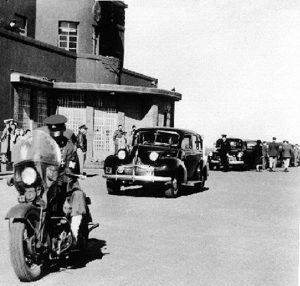 You will note that all these Staff cars appear to be in non-military colours General Berryman’s in two-tone. 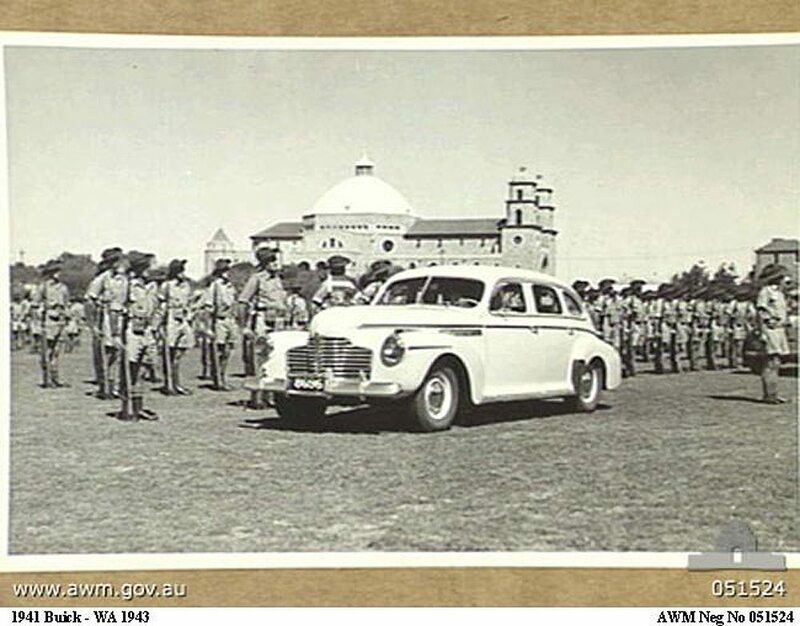 Another recipient of one of these model 41’s was the Governor-General in Qld, Feb 1945 [Neg. No.086684] although from the rear it could be 1941 or 42. 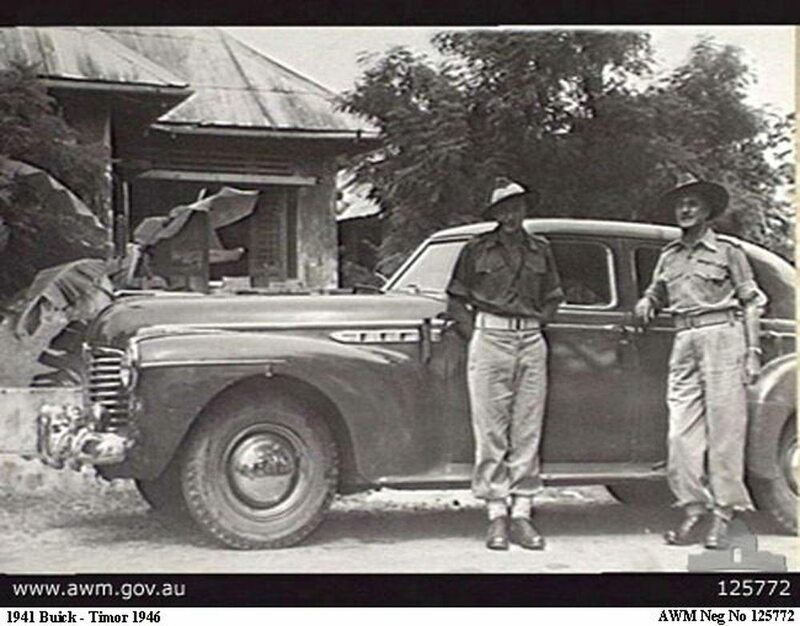 Prime Minister, Chifley appears to have a 1942 model 41 at Fisherman?s Bend on the debut of the 1948 Holden. 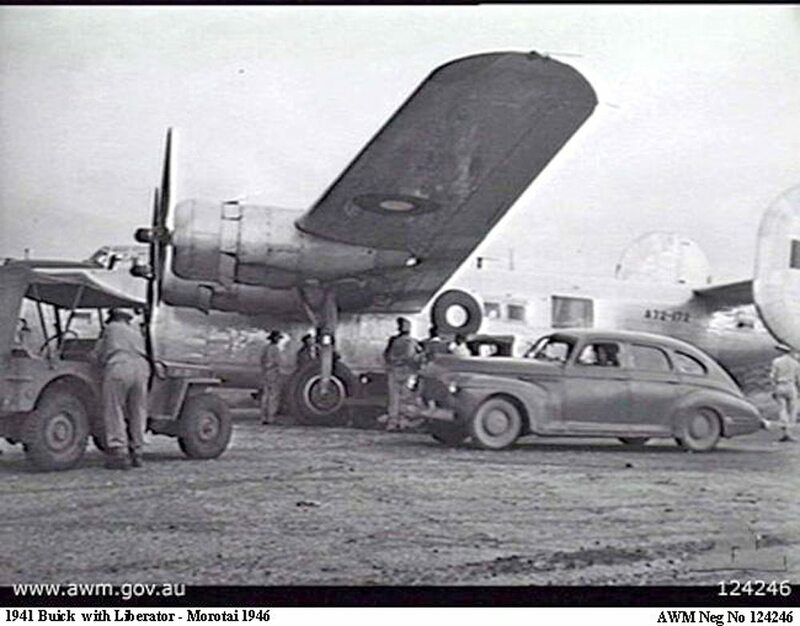 Only one 1942 remains a model 90L which anecdotally is credited with being used by General MacArthur, [photo dated 7June 1943 at Mascot, neg. no. 052515], this was disposed of by the Army in 1947. 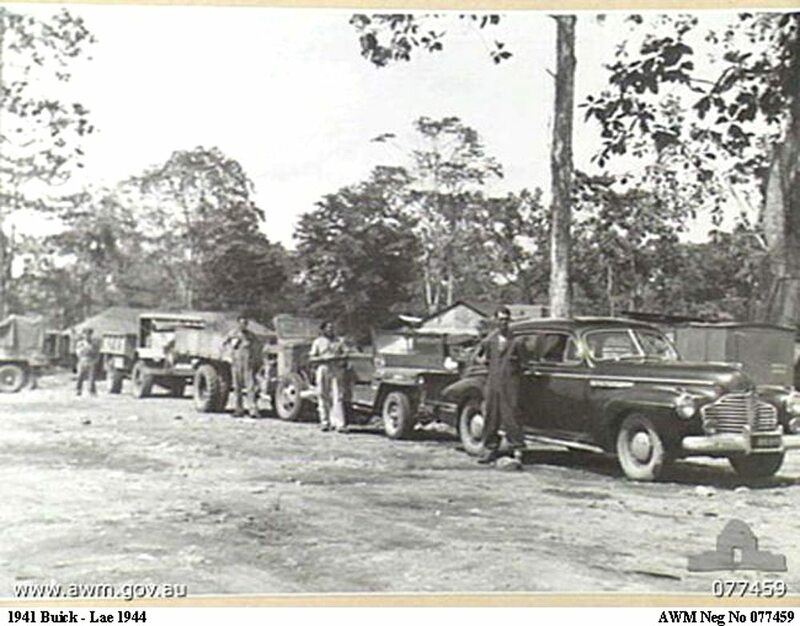 The Army laid down orders regarding marking of vehicles, but as can be seen from the A.W.M. 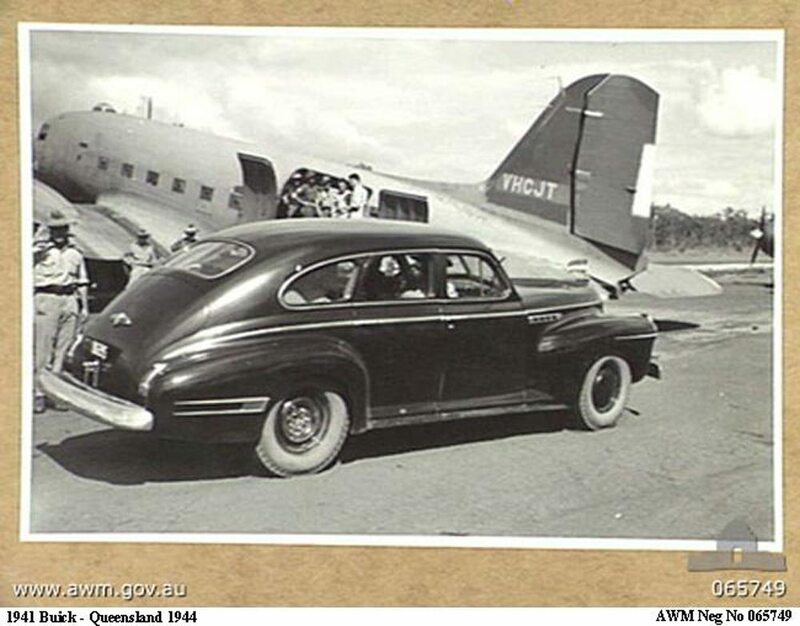 photos the Buicks allotted to Generals, only carried a number on a civilian type number plate, not painted on the bonnet and rear, as other vehicles, the Buick in Qld in 1943 [ Neg. No. 053294] also carries No.107 signifying an Aust. HQ unit vehicle. For this information, I am indebted to Stephen Taubert and his book “Formation Signs & Vehicle Marking in the Australian Army”, now available only on CD. Wartime conditions and abuse took a heavy toll on passenger vehicles, which is why these and all 1941 ex-Army cars are extremely rare to-day. Also ten pictures by courtesy of The Australian War Memorial.